This is a delicious fiery jam with a difference; it’s certainly not something to serve on toast! 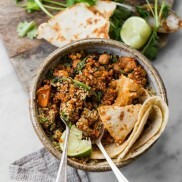 It combines chilli, with chilli and, you guessed it, some more chilli together with a touch of garlic, sugar and a blend of herbs and spices. 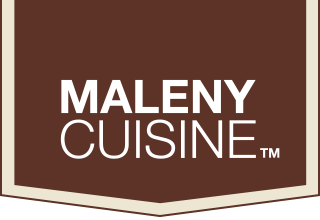 Maleny Cuisine’s Chilli Jam is extremely versatile, great with stir fries, seafood, hot or cold meats, vegetables, a soft creamy cheese or on its own by the spoonful. Not to be served for breakfast but has been tried on ice cream for dessert!